Psychiatric medication tapering and withdrawal peer support. 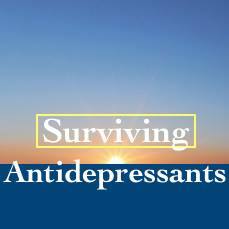 We are incredibly grateful to the moderators on Surviving Antidepressants who have volunteered their time to offer often-distressed individuals free help, and steer them onto a safer path. Because the service is free, and because the numbers of refugees from psychiatry is growing, please be considerate of the fact that there's a queue which may not be obvious from the front end of the website. Familiarise yourself with the rules so long, then post your topic. Within a few hours at the most, a moderator will personally assist you.